I recently had to make a video for Southern Writers magazine, so I thought I'd kill two birds with one stone and talk a bit about novels vs. novellas. One of the complaints I have received about my novellas is that they're "too short." Of course, that's what a novella is--not as long as a novel, longer than a short story. Any other writing questions you want to ask? Leave a comment, and I'll be happy to answer. Tweet with a single click: What's the difference between a novella and a novel? Click here to tweet. One week from today, our state (and several others) holds a primary election. Not only does that mean that there have been a number of political debates (some of them worthy of World Wrestling Federation status), and our mail boxes are stuffed with cards and letters urging us to vote for this or that candidate, but our phone has been ringing off the hook. I understand the need for candidates and their supporters to get the word out about their position, but enough is enough! We have Caller ID, but that doesn't seem to help. Most of these calls come from numbers designated as "unavailable" or "anonymous." Sometimes campaign workers use their own phones, which means the Caller ID shows me a name that's not familiar. But, human nature being what it is, I generally end up answering--can anyone ignore a ringing phone? Kay and I are quite interested in the forthcoming election. We've done our homework. We've taken advantage of early voting. And we'll watch with interest as the winners are declared. (Can the media now predict the outcome of an election twenty minutes after the polls close? Apparently so). How do you handle the mailings, phone calls, political TV ads, and all the rest of the things that go along with election time? I'm glad we have free elections, don't get me wrong. But I do get sort of tired when the process seems to last for well over a year. How about you? Tweet with a single click: "How do you handle the calls and ads that go along with the political process?" Click here to tweet. Interviews seem to be popular on blogs like this, so I thought perhaps it was time for me to interview an author I know as well as I know myself. Actually, it is myself. Here are answers to some of the questions I never get asked. Q. Writers and editors are always talking about a "voice." How did you find your particular "voice?" A. While trying to learn enough to write my non-fiction book, The Tender Scar: Life After The Death Of A Spouse, I was challenged (sort of) to try my hand at fiction. I tried conventional fiction, novels about baseball, even cozy mysteries--no takers. 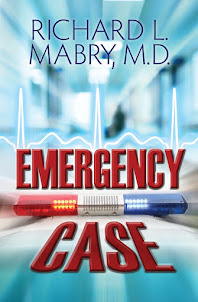 But when I started writing "medical suspense with heart," readers (and equally important, editors) liked what I was writing. I still don't know what truly constitutes my "voice," but apparently it's pretty natural, so I've made no efforts to change it. Q. Whoa! You mentioned novels about baseball. Had any of these published? Q. You've been published by Abingdon Press and by Thomas Nelson (now Harper Collins Christian Fiction). Who will be the publisher of your next novel? A. That's a good question, one to which I don't have an answer. As some of you know, Abingdon has discontinued its fiction line, so my next novel, Medical Judgment, will be the last one from them. There's no word yet on who will publish the one after that, Cardiac Event. But if the Lord tarries and I can keep writing, there will be more books from me. Meanwhile, I've also self-published a couple of novellas, Rx Murder and Silent Night, Deadly Night, available in both Kindle and print formats. Q. What advice would you like to leave with blog readers? A. Since I know the guy writing this blog pretty well, if you leave questions in the comments section, I think we can arrange for them to be answered in future posts. Meanwhile, thanks for this opportunity. 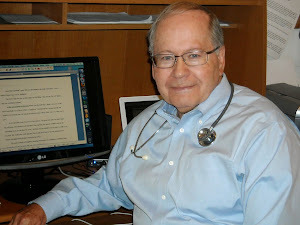 Tweet with a single click: "Author Richard Mabry talks about finding his writing voice." Click here to tweet. Sunday was Valentine's Day. For many of you, it was celebrated with chocolates, flowers, cards, and perhaps a special dinner or lunch. I heard that the average man spends a bit over $100 for the holiday. Kay and I had our usual day at church yesterday, but the night before we managed to find a "new" (to us) Italian restaurant nearby and had a nice dinner. Yesterday it was our turn to assist with the New Member Class at church, and one Scripture that was read hit home with me. As you may know, my first wife passed away in 1999. Although God has blessed me once more with the love of a wonderful woman, I still recall the time when I was a widower. All the holidays were tough for the single individual, including Valentine's Day. Here's the Scripture to which I refer: "Religion that God our Father accepts as pure and faultless is this: to look after orphans and widows in their distress." (James 1:27 NIV). 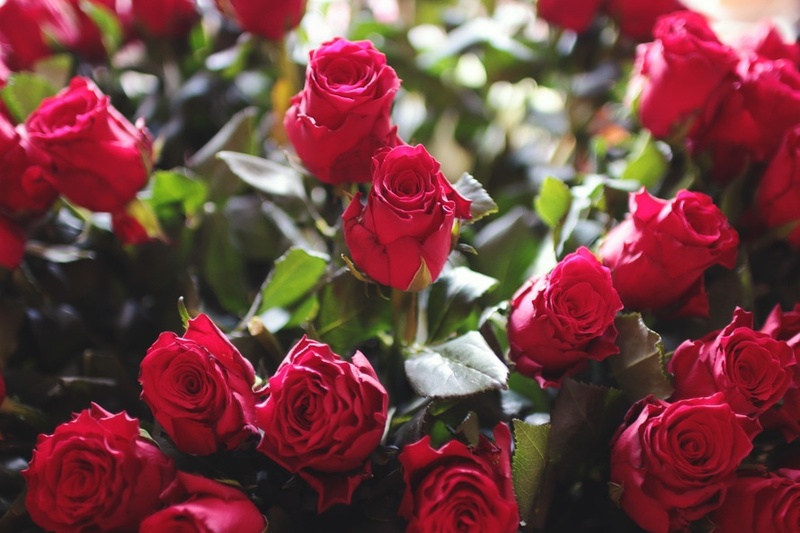 I know that our church, as well as the one from which we came, has a dinner for widows around the time of Valentine's Day, and that's laudable. But how about individuals and families making an effort during this season to do something thoughtful for those who have no one in their lives? Just something to think about--next February 14, and throughout this coming year. Tweet with a single click. "Here's a different way to celebrate Valentine's Day." Click here to tweet. I still recall learning how to use a card catalog in the library. It was a bit laborious, but research usually involved a visit to that big wooden case with the brass handles and numerous drawers. Of course, I never realized that one day my name would be on some of those cards. I got a chuckle out of a Frasier episode we watched recently when his brother, Niles, says, "I've always dreamed of the time I could go to the card catalog and see my name under 'Mental Illness.'" Some of us actually made it (although not under "Mental Illness," thank goodness). But the days of the card catalog are pretty much gone. I got into the world of publishing late. Oh, while I was still practicing medicine I wrote or edited eight textbooks, and I suspect my name is still in one or two card catalogs, but I haven't seen one for quite a while. And, further, I probably don't remember how to use one anyway. Now it's all computerized. Today I received my copy of one of the professional journals I get. I enjoyed reading a few of the articles, but I didn't keep the journal when I was through. Instead, it went into the recycle bin. Why? Because I know that, if I wanted to look back at an article, I could go onto my computer and, with a few clicks, access and print that bit of information. Textbooks and professional journals have moved into the twenty-first century, with both print and online formats. 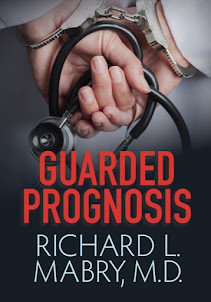 But imagine my surprise when I had occasion to look at my latest novel, Medical Judgment, which will be released in May and saw that I'd written the "author's note" for the front matter in September of 2014--more than a year and a half before the book was to appear in print. Why is there such a time lapse between the time a publisher receives an author's accepted manuscript of a novel and the day that book is released? I've heard the usual excuses: several rounds of editing are necessary, someone has to design the cover and others have to pass on it, publicity has to be lined up, salespeople must present the book to the various booksellers responsible for getting the work to the buying public... But the lengthy time involved in this process is one of the factors that has made a number of authors move to self-publishing. Others of us choose to seek the positive factors traditional publishers offer. Without going into further detail or coming down on one side or the other of the traditional publishing vs. self-publishing debate, I'll ask for your input on the subject. I'd like to hear what you have to say. Tweet with a single click. "Traditional vs. self-publishing--what's your opinion?" Click here to tweet. NOTE: Today at the Suspense Sisters blog I'm interviewing author E. E. Kennedy. Drop by (just click the link), leave a comment, and get your name in the drawing for a signed copy of her latest Christian mystery. Do you like mysteries? Or do you prefer thrillers? Maybe your taste runs to novels of suspense? Click here to go to the Suspense Sisters Blog where I reveal the difference. While you're there, leave a comment for a chance to receive a copy of my novella, Silent Night, Deadly Night. Tweet with a single click: "Mystery, thriller, suspense. What's the difference?" Click here to tweet. By the time the season was half-over (if not before), it was fairly obvious that the Dallas Cowboys wouldn't be in the Super Bowl this year. I'm writing this before the Denver Broncos and Carolina Panthers meet for the NFL championship, because I don't want to address the game. I want to talk about the reason Kay and I (and much of America) watch: the commercials. Here's a sample of the commercials. For those of you who watched, what commercials did you like, and which ones didn't seem worth the extremely high cost? I'd like to know. And for those who say, "Super What?" come back on Friday when we get back to blogging about writing stuff. Writing: Rules? Why Do We Need Rules? Last weekend I was privileged to talk with a group of writers who are at various stages on their writing journey. 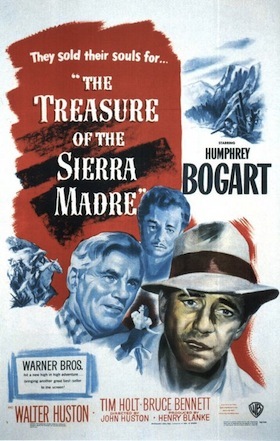 My topic at the Weekend With The Writers was taken from a scene from the movie Treasure of the Sierra Madre--the one where Humphrey Bogart asks the "Federales" for their badges, and is told "We ain't got no badges. I don't have to show you no stinkin' badges." Of course, we know differently. And in the same way that police are marked by their badges, writers are ultimately marked by their knowledge of the "rules" of writing. Notice that I said knowledge, not observance. But if we're to ignore the rules, we should know what they are and why they're there. So let me list a few of the more common ones. -Keep point of view constant; don't "head-hop." -Use the active voice, not the passive one, wherever possible. -Don't depend on Deus ex Machina ("God from the machine") to get your hero/heroine out of trouble. "(They provided us with) a liaison executive, a slightly overweight currently blond woman in a dark blue suit named Edith." If you don't see the problem there, look again. Then consider how you'd fix it. If you'd like me to discuss any of these rules, let me know in the comments. And tell me your most favorite or least favorite writing rule, and why you say that. Tweet with a single click. "Why do writers need rules?" Click here to tweet. As I've said not long ago on my Facebook page, since the Cowboys are out of the hunt for the Super Bowl, the Mavericks and Stars seem to be teetering on the cusp of making it to their respective playoffs, and I'm not a soccer fan (except when a granddaughter is playing), I'm anxiously awaiting those wonderful words, "Pitcher and catchers report." 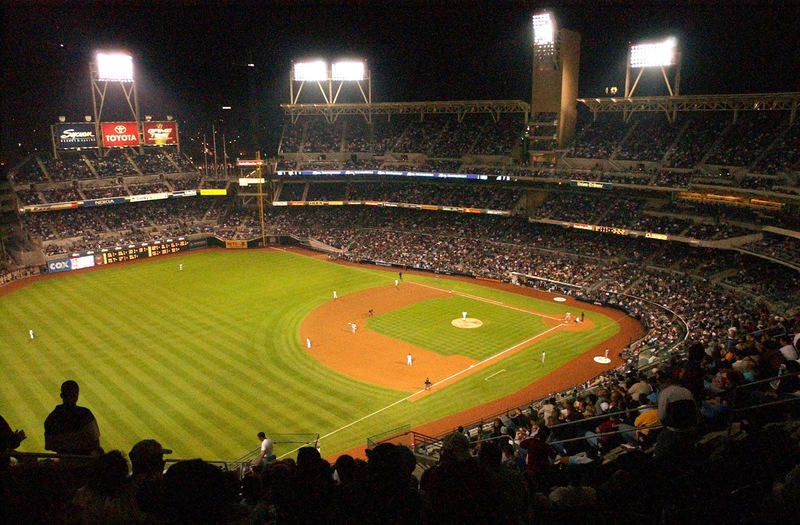 Baseball will be starting up soon, and until they play the first few games that count (and pre-season games certainly don't--players running in the outfield after they've played a few innings, then heading for the golf course)--until the season actually starts, every team has a chance. It's a 162 game season, and the faithful can hang in there until it's obvious their team isn't in contention. I'm not sure how long that will be for this team, but in the meantime, go Rangers. What are you looking forward to this spring? I'd like to know. Tweet with a single click. "Are you ready for the baseball season to start?" Click here to tweet.